Expat Blog Award 2 months ago Hey everyone!Â Iâ€™ve been nominated for an Expat Blog Award!Â I would truly appreciate your support by voting for my blog here!Â (Any questions or difficulties, let me know!) Thanks in advance for all of your support! The post Expat Blog Award appeared first on A Mommy Abroad. 7 years 1 year ago 7 years. Today is the day we literally thought would never come. We had been told, repeatedly, and by those who should know, that 7 years at the IAEA was the absolute, no questions limit for anyone without a permanent â€¦ Continue reading â†’ The post 7 years appeared first on A Mommy Abroad. Long time, no talk 2 years ago So, itâ€™s been a while. Not since my last post, but, more generally, since I was writing regularly. I used to do this every day. For my first year, it was every day, no exceptions. Iâ€™d made a promise to â€¦ Continue reading â†’ The post Long time, no talk appeared first on A Mommy Abroad. 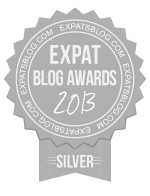 ExpatsBlog.com Expat Blog Awards 2013: Austria Silver Award! This blog won the Silver Award for best expat blog in Austria! 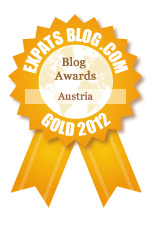 ExpatsBlog.com Expat Blog Awards 2012: Austria Gold Award! This blog won the Gold Award for best expat blog in Austria! Momastery for ex-pats. We all compare our own behind the scenes footage with others' highlight reels, so those few who are courageous enough to bare themselves are a gift. A Mommy Abroad is practical, raw, and encouraging without sugar-coating. You'll want to travel and try new things after reading her site, even if you have toddlers and pre-schoolers and feel like showering is an accomplishment and eating breakfast sitting down is an indulgence. Emily writes really well, with a directness that is so engaging. Her humorous take on parenting abroad just invites the reader into her world. A young Erma Bombeck!! A Mommy Abroad is a fantastic real-time, real-life narrative of the highs & lows of an ex-pat American family living in Vienna. This blog is a wonderful insight into what it takes to enter the fabulous world of living in a foreign country, especially where you don't even speak the language, and it depicts daily life, travels, sickness, and self-reflection. While many would feel reading a blog about the daily life of a young family would be a smidge boring, you throw in the fact that this takes place overseas, and it's no longer boring but in fact exciting. It makes this gal especially envious and excited to read the next post. Having experienced the highs and lows of living in a new country, I can relate to their posts. It is always amusing, informative and educational. A great "How to" guide for anyone (with or without kids) trying to balance being themselves while meeting their own expectations in life. Heartwarming, funny, and totally relatable. I don't even have children but the adventures and observations in this blog really hit home. For anyone who has ever thought about changing their address, perspective, or lifestyle should really read this blog - Its hard not to respect the challenges faced, and lessons learned every day, even if that lesson is to not write a post. Really love reading this blog. A beautiful blend of insight, humor, love, grace, and vulnerability. Em's blog is superb! It's inspirational to any mother and /or a woman facing daily life in real situations,witty, informative,interesting,mind stimulating,but best of all so good, I find myself reading it whenever I get a chance, it truly became my daily "chore" of sorts and I enjoy every one of them! It's a completely perfect insight into another mom's life,truly an admirable mom! Truly one of the highlights of my day! I eagerly anticipate each new chapter. I've been a subscriber for sometime now, and have watched the evolution of just merely a blog post, into a cohesive and concise handbook of "How to" survive abroad. You'll come to know them like you know your own family. Very well written and fun! A MUST if you're traveling abroad with or with out kids! A Mommy Abroad is a wonderful blog, in particular for parents of young children who don't want to stop traveling just because they have kids. I find the travel tips to be incredibly useful and spot on, but also just love the accounts of day-to-day life abroad. The tone of this blog is perfect -- un-self-conscious, honest, even self-effacing at times. It reads very real and true. Emily's A Mommy Abroad has been my personal bible since arriving in Vienna less than two months ago. While my kids are teens and our family's day to day experiences are, therefore, very different from Emily's, her practical tips and reflective, yet humorous, observations have certainly helped me maintain my perspective as our family embarks on a similar adventure. It is so encouraging to know that our family is NOT alone in the challenges we face, and, like Emily and her family, not only will we tackle those challenges day by day, I am certain we will come to love our new hometown and enthusiastically embrace its myriad offerings... as well as its frustrating quirks. This blog is the highlight of my day.Sometimes it makes me laugh out load, sometimes it makes me cry out load. An honest, heartfelt blog about parenting and living abroad. Both poignant and funny (without being twee), it's always a great read! The first thing I noticed about this blog was its honesty. The author deals with the things that every mom must face - trying to teach her children to grow into the adults she envisions them becoming. Following close on the heels of honesty, there is laughter, fun, exploration and faith in humanity. She touches on the thrills of being an expat - getting to visit new places and explore. She also touches on the isolation, the distance from friends and family, and the challenges of moving to a country where she doesn't speak the language. All of this is draped in so much love. I read it every single day. I love reading Emily's adventures in Austria. Her stories are great and I feel like I'm living there. I've been following the adventures of Emily and Dan and Liam and B since the beginning, but I really remember something clicking with me in June 2011. There was an in-law visit. A visit that can, admittedly, be stressful under any circumstances. And I remember that Emily, put right out there, on the internet, for God, and her in-laws and everyone to see, that having company, even company that you love, is a lot of work. And every day is like that. You might wind up at amommyabroad for the travel advice, but, if you're like me, its the honesty that will hook you. Because, I'm probably never going to move my family overseas. But I am going to have my family to visit. And first days of school. And work to get done with sick kids. And if I can find it, a Wolf-Hat. And so even though I'm a continent away from her day to day, Emily's plain speaking down and dirty account of momming, makes me feel like we're in it together.